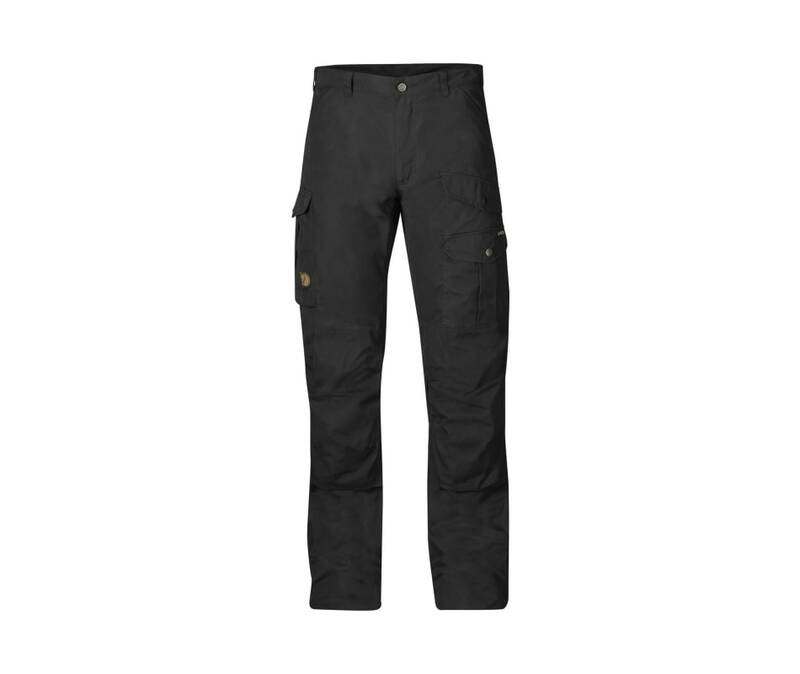 Durable trekking trousers for many adventures in the mountains and forests. Made from durable, wind and water resistant G-1000 with double reinforcements over the rear and knees. Low waist and regular fit with pre-shaped knees. Seven pockets, including a map pocket, axe pocket and inner safety pocket. Equipped with pockets for knee pads (an accessory). Raw length.